Got Buzz @ Kurman Communications: Celebrate National Lobster Day at Benny's Chop House Today, June 15! Celebrate National Lobster Day at Benny's Chop House Today, June 15! While great US Prime Steaks may rule Chicago’s restaurant scene most of the year, it is sweet, succulent lobster that steals the show at Benny’s Chop House (444 N. Wabash, Chicago; 312-626-2444) on Saturday, June 15, National Lobster Day. To celebrate the delectable lobster, Benny’s will offer several outstanding lobster dishes that will satisfy even the most avid lobster fan. At Benny’s Chop House, lobster is as special as the top-quality steaks and chops. Guests can enjoy this tender treat many different ways, as a “Bar Bite”, a sandwich, an appetizer, a soup, a salad, a pasta dish, a risotto, or as a main course. Paired with a glass of wine from Benny’s award-winning wine collection, a lobster experience at Benny’s is a special pleasure. In the bar area, at Benny’s raw bar, is Crab & Lobster “Louie”, served with avocado, tomato and horseradish ($19.99). Another signature Bar Bite is the Lobster Croquettes, with béchamel and mushroom pesto ($8). 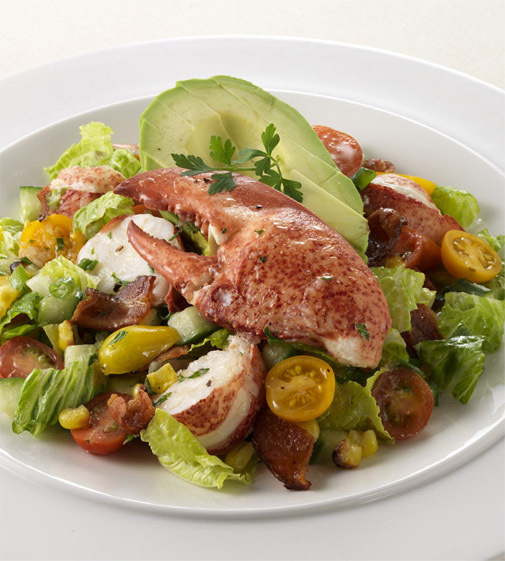 At lunchtime, guests can order the wonderful Lobster Cobb Salad, with tomato, bacon, avocado, sweet corn and tarragon ($16.99). 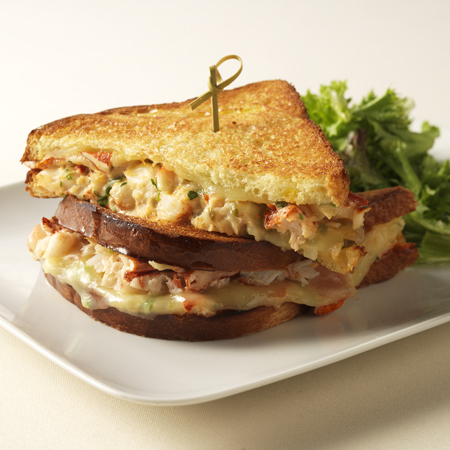 If you’re in the mood for a sandwich, you’ll be more than thrilled with Benny’s unique Lobster Grilled Cheese Sandwich, with citrus mayonnaise and provolone, and served with a garden salad ($10.99). 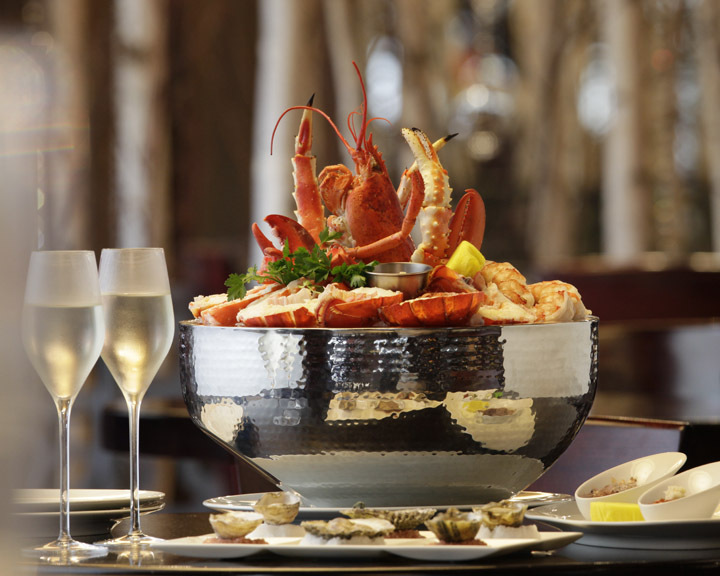 In the dining room at dinnertime, for a memorable beginning to the meal, guests can order the spectacular Shellfish Tower for Two, a beautifully presented display of chilled lobster, king crab and shrimp ($69.99). Another great lobster beginning is the Lobster Bisque ($7.99), a creamy and aromatic soup that has become a great crowd pleaser at Benny’s. 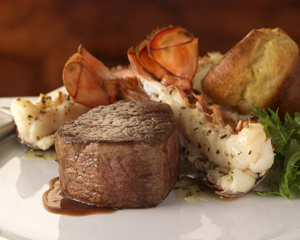 Knowing that steak lovers often also have a craving for lobster, Benny’s offers the best of all worlds with the Surf-N-Turf Style entrée, which features an 8oz USDA Prime Wet-Aged Filet Mignon paired with a 10oz. Cape Breton lobster tail. Guests who can’t resist a full steak dinner can enjoy lobster as a perfect accompaniment by ordering the perfectly prepared Lobster Risotto ($14.99) or the Lobster Macaroni and Cheese ($7.99). Another delightful way to add a touch of lobster to your dinner is to order it as a Lobster Tail Steak Enhancement. As one of Chicago’s finest steakhouses, Benny’s Chop House also knows that if there are steak lovers in the house, pasta lovers are not far behind. With Benny’s Lobster Ravioli, guests can have it all. This mouthwatering dish, made from fresh house-made pasta, is truly exciting, with luscious morel mushrooms in a rich Parmesan-cream sauce ($14.99 half order; $24.99 full order). It doesn’t get any better. Finally, for the true lobster purist, Benny’s offers a generous, tender whole steamed Maine Lobster ($49.99), served with drawn butter and beautifully presented. With so many delicious lobster choices, Benny’s Chop House is clearly the place to be on National Lobster Day. Sit back, relax, enjoy your glass of wine or a unique specialty cocktail and feast on one of America’s most prized treasures of the sea. Say hello to Little Goat Bread! Oh Olive Father's Day Grilling Package Special!